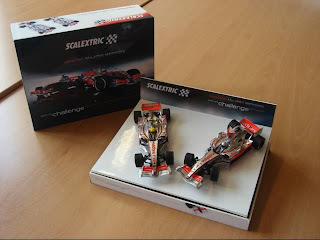 SCX TecniToys confirmed us today the Pack McLaren F1 Team. It will be available on 19 th December. It includes Alonso and Hamilton McLaren. This last only available in this set. Alonso McLaren will be sold separately, due for this month. Slot Cars Pack Price will be 50 euros.